Good, creative baking, like good photography, doesn't depend on the tools that you use. It's all about you and your perceptions, intuitions, and inherent talent. Although, with both photography and baking, having certain tools does make the process easier, more fun, and generally a better experience. 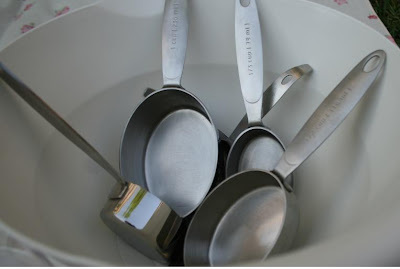 Here are some images of certain baking tools that are my favourite! Pastry brush and mechanical sifter. 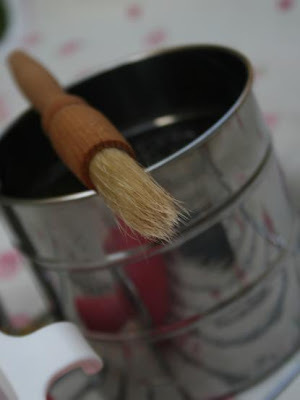 The pastry brush is perfect for greasing cake tins. I used to use spray olive oil before, but the butter brush makes it a lot better.. texture-wise, as well as ease of removal wise. The mechanical sifter is another God-sent invention. It makes a thousand times easier and faster to sift flour although sifting icing sugar can be a nuisance with this. It gets stuck and jammed. 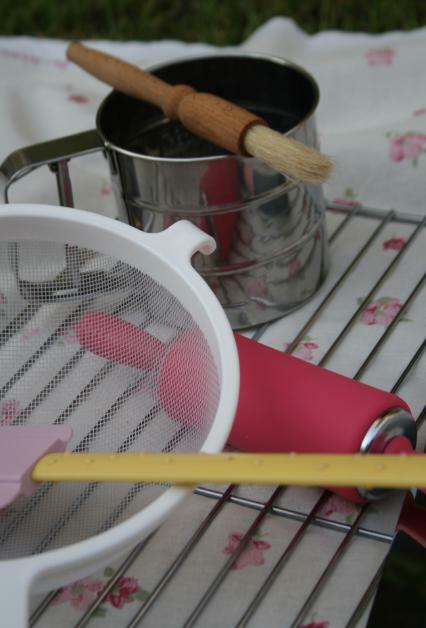 This white sifter is the old-fashioned sifter that works amazing for icing sugar. 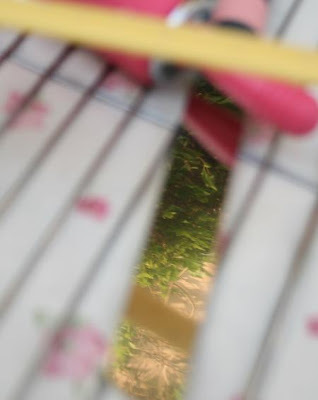 The rolling pin is a pink silicon rolling pin that is perfect for rolling out dough for biscuits, bread, etc... the dough doesn't stick to the pin as it would if it were wooden. A rubber spatula is another indispensable tool that is used to gather excess dough/mixture. 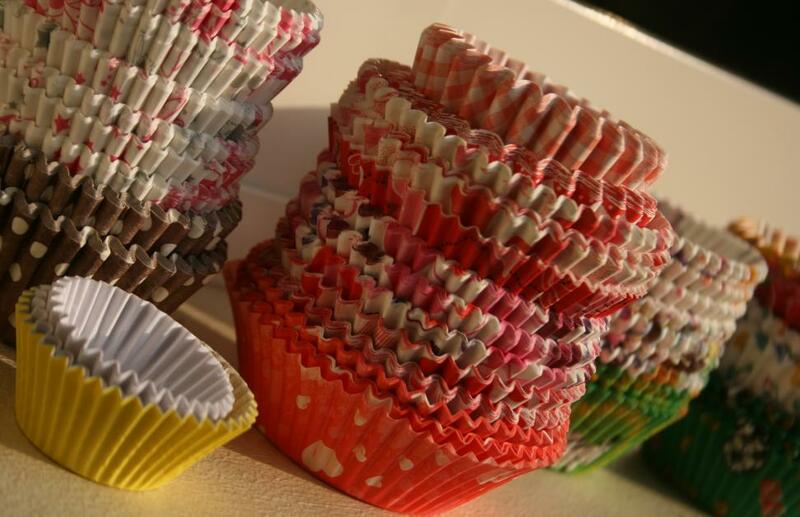 It also helps in folding in- a challenging but easy baking technique. I CANNOT live without these! 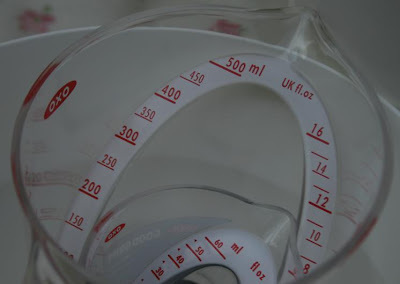 *sigh* my little measuring cups.. This I got from Lakeland in Mirdif City Center. The numbers on the measuring jug are slanted so that you don't have to crane/angle your neck in order to read the measurements once you've placed liquid inside the jug. 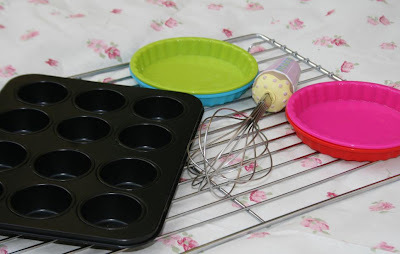 Mini muffin tins that work great for making little tarts! Silicon tart tins! Easy extraction! And a whisk- obviously.. we all know what that's for.. and a wire rack that makes cooling amazing! 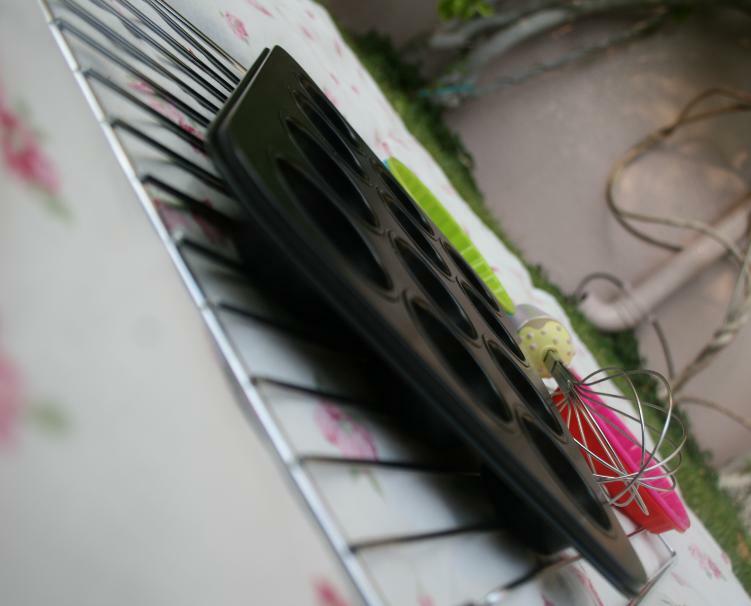 If you leave cakes or other baked items in their tins or trays, they might overcook.. and the taste is different.. wire racks are amazing for all round cooling. The best part! This usually gives the theme to your cupcakes! I'd love to learn how to design my own!